The most important aspect of social media marketing is understanding your audience dynamics. Generating a sense of need for the product is one of the most effective ways to market your product/ service on social media.y sourcing fresh and relevant content you can attract your target audience. By sourcing fresh and relevant content you can attract your target audience. It is also important to keep in mind that the average social media user doesn’t devote more than a few seconds to a post – which is why call to actions are necessary, as well as appealing and eye-catching content. In this article, we’ll be providing you with the Top 5 Ways To Market Your Business Using Social Media so buckle up and hold on tight! Before we can start marketing our business on social media, we need to know who we are targeting and where they are to be found. Marketing on social media would otherwise be like shooting with a bow and arrow into the woods, hoping to hit a deer. When you’ve identified your target audience, you now need to figure out which social platform is best to reach your target market on. When you’ve done so, you should study those platforms and, when possible, take your targeted advertising to those platforms. You can’t start any marketing on social media if you haven’t posted any content either. So now, you need to start posting content if you haven’t already begun. The reason to this is simple. If you don’t have any content on your page, you will just look like an inactive user or in the worst case – a bot. Plus, who wants to follow a page without any content on it? That’s often how people decide whether to follow a page or not. Facebook is today the #1 social media platform used by businesses. In addition, a study by emarketer showed that 41% of US small businesses now use Facebook as part of their online marketing strategy. 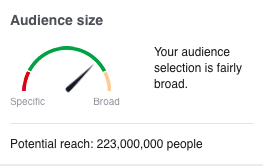 That tell a lot about the marketing power Facebook have. When setting up a Facebook ad campaign, you can target your audience based on a ton of criteria, plus decide other things that will decide the nature of your ad and how it perform. All in all, if done correctly, it has the power to generate some really great results for your business. 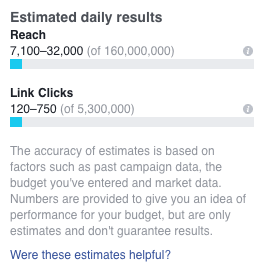 Based on which criteria you choose, Facebook will make an estimation of how the ad will perform. Giveaways and contests have long been the favorite social media marketing tactic among many marketers all around the world. Giveaways and contests are easy to set up, often fairly affordable for the brand, fun, engaging and most importantly – generates great results! Getting traction on social media with giveaways is extremely simple and that’s because it is the contestants that do most of the spreading. Before you launch a giveaway, it’s important that you know the basic practices, the do’s and the don’ts. The better prizes you have for the winners, the more contestants you will have as more people are ready to go out of their way for a chance to win whatever it is you’re giving away. If you are going all in, for example giving away a car, you can even get some media coverage which can add to the exposure you’re getting from the contest. Plus, you’ll have more people joining thanks to it. This one is important. If you make it too difficult to enter your contest/giveaway, you’ll have less success with your campaign. Joining your contest should be easy and only demand a few seconds! Influencer marketing is smoking hot right now. Now, you might be thinking “What the heck is influencer marketing” so let’s just go through the basics first. Influencer marketing is exactly what it sounds like. It is the use of industry-leading individuals (on social media) that influence people. Since influencers have a large following on social media, brands are now realizing the possibility of partnering up with those influencers in order to reach their target audience. And what better way to market your brand than to get a person that people in your niche looks up to and therefore are more likely to trust? – An influencer of course! There are two types of influencers. Micro-influencers and regular influencers. Micro-influencers are influencers who have a smaller following base (around 10-50K followers) and regular influencers have 50K followers and up. Why is influencer marketing so popular? The main reason social media influencer marketing is so popular among brands (and is increasing in popularity) is because it is able to generate a tremendous ROI. How do you find social media influencers? Now, you might be wondering where you’re going to find the influencers. Don’t worry, we’ve got you covered. Finding influencers is actually one of marketers biggest challenges when working with influencers marketing. There are so many puzzle pieces that have to fit together for a successful influencer marketing campaign. You want to find an influencer with a good follower amount, an influencer with good prices, with targeted followers, high engagement, good reputation, great content. As you can see, finding one that meets all of those criteria is hard. That’s why we created Veloce Network influencer directory. Veloce Network is a directory with thousands of industry-leading influencers. In the directory, you can filter influencers based on criteria such as gender, niche, followers amount, platform and much more! All of this to help you run an influencer marketing campaign that is as targeted as it can be. Sometimes, it doesn’t have to be more complicated than this. You probably know the importance of building customer relationships and that’s exactly what you’re doing when you engage with your audience on social media. First, you have to find your target audience because you don’t want to be engaging with people who have no interest what so ever in your brand. There are quite a few, very simple ways to do just that, so let’s break them down. Searching hashtags is a super simple yet very effective way to find your target audience. Most social media platforms have them, so this shouldn’t be an issue. Go to the hashtag search bar and write in a keyword relevant to your niche. For example, if you’re selling tennis balls, a good hashtag to search for is simply #tennisballs. Now, you’ll find a bunch of content posted by people who hopefully are interested in tennis. Like a few images and leave a nice comment on a picture of theirs. By doing so, you get the ball rolling. Not only will they become aware of your brand, they might also start following you, increasing the chances of future purchases from your business dramatically. The second method of finding your target audience by searching check-ins. What you want to do is search for a place that is relevant to your niche and where your target audience might be spending their time. Now, if you’re selling tennis balls, a relevant place for you to search would obviously be a tennis court. Search for a tennis court that is relevant to you and voilá, you have a bunch of pictures posted from that location. Building genuine relationships is really fruitful for your business, whether they are old customers, potential customers or future business partners. And with the help of social media, this is now easier than ever. This is probably the most important of them all. Social media is all about content and at the age where almost everyone has access to a camera – and a high-quality such, no one wants to see blurry images. This can also be a real challenge for you if you aren’t used to creating content in this manner. On social media, there is a very fine line between being too promotive and engaging your audience with your content. You don’t only want to post promotional content about your products. You should also mix your posts up every now and then with something that inspires you but still have something to do with your brand, for example, a group photo of your co-workers. Not only is sharing behind the scenes content appreciated on social media, it also, gives your customers a face which helps humanize your brand. Social media has a lot of potential for brands and those who aren’t implementing it into their marketing strategy are missing out. Take these 5 tips into practice and you can be sure to see results. PrevFrequently Asked Instagram Questions: Here Are The Answers!